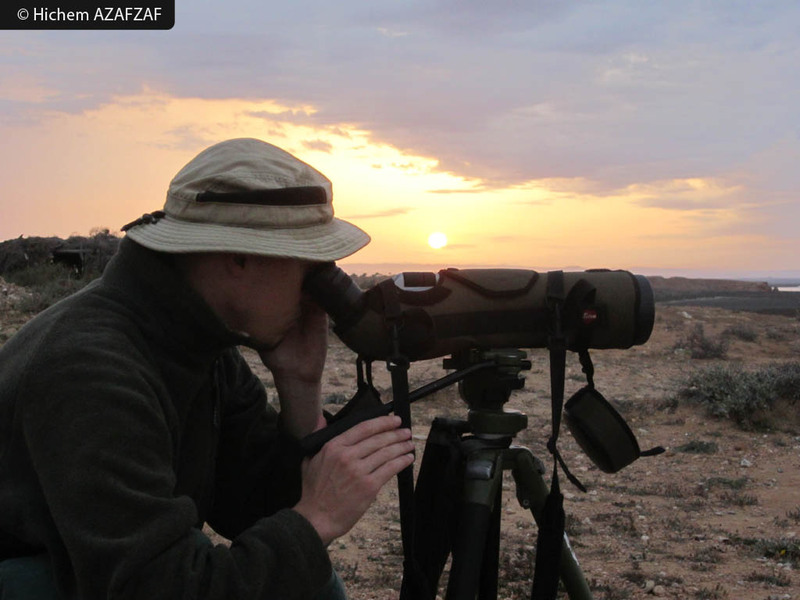 RAC/SPA has supported the organization, from the 14th to 24th January 2012, of the census of waterbirds wintering in Tunisia carried-out by the Association « Les Amis des Oiseaux » (AAO). RAC/SPA took also part to an information workshop held on January 24th and presented the activities carried out under the Action Plan for the conservation of bird species listed in Annex II of the SPA/BD Protocol. RAC/SPA organized the Third Meeting of the Steering Committee of the project for supporting the establishment of SPAMIs in open seas, including the deep seas on the 16th of December 2011 in Tunis. RAC/SPA was present at Brussels for the workshop on stock assessment of selected species of Elasmobranchs in the GFCM area from the 12th to the 16th of December 2011 alongside representatives of the European Union (EU), the GFCM Secretariat and 25 experts from Algeria, Bulgaria, Croatia, France, Ireland, Italy, Morocco, Romania, Syria, Tunisia and Turkey. 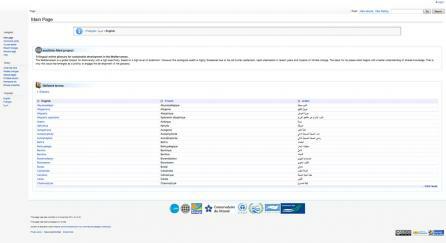 RAC/SPA collaborated with the World Bank (project lead partner) and other partners: the Mediterranean Institute of Ecology and Paleo-ecology (IMEP, France), the Conservatoire du Littoral (CDL, France), the National Commission for Biotechnology (NCBT, Syria) and the University of Damascus, for the development of an online trilingual glossary (ecoOnto-Med) on sustainable development in its first phase focusing on biodiversity in the Mediterranean sea. As part of the Action Plan concerning species introductions and invasive species in the Mediterranean Sea, RAC/SPA has organized an Ad-Hoc expert meeting in Tunis on 27 and 28 November 2011 to discuss the establishment of a regional mechanism for the collecting, compiling and circulating information on invasive non-indigenous species in the Mediterranean. RAC/SPA co-organized the First Experts Meeting on Climate Change impacts on Marine Biodiversity in the Mediterranean MPAs with MEDPAN North and IUCN with the support of representatives of countries or institutions involved in the conservation and responsible for climate change and its effects on ecosystems, habitats and species. This meeting was a support for collegial reflection about this subject. 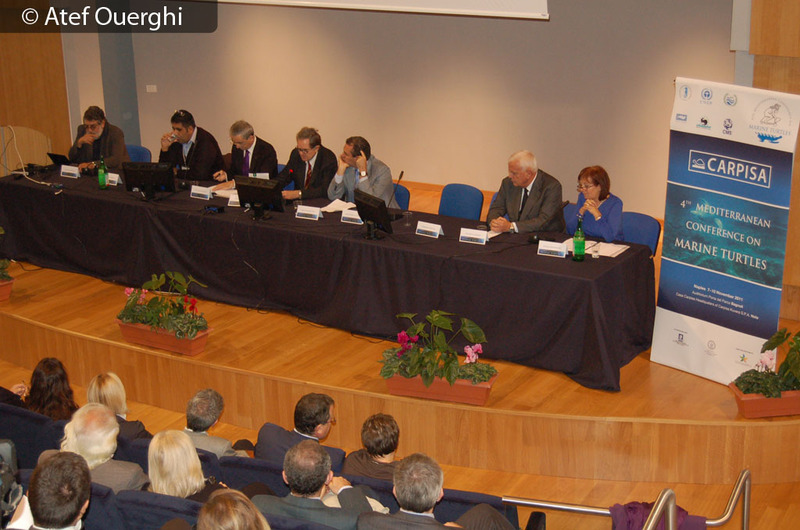 RAC/SPA has co-organized with the "Stazione Zoologica Anton Dohrn (SZN)," the 4th Mediterranean Conference on Marine Turtles and this from 7 to 10 November 2011 in Naples (Italy). RAC/SPA was present at and supported the Regional Experience Exchange Workshop of the MedPAN network which has an important theme: "Education and environmental awareness in MPAs of the Mediterranean". By the way, RAC/SPA attended also the General Meeting of the Association and the steering Committee of the "Marine Protected Areas in the Mediterranean" database. 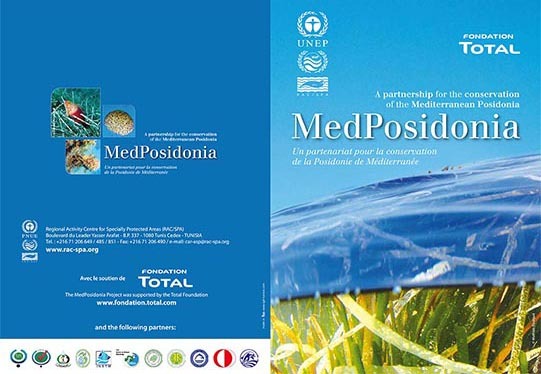 MedPosidonia project cited on the MEDCOAST Rhodes declaration as pilot project. - Towards the development of Marine and Coastal Protected Areas in Montenegro. - Inception, planning and development of Kuriat Islands MPA in Tunisia. 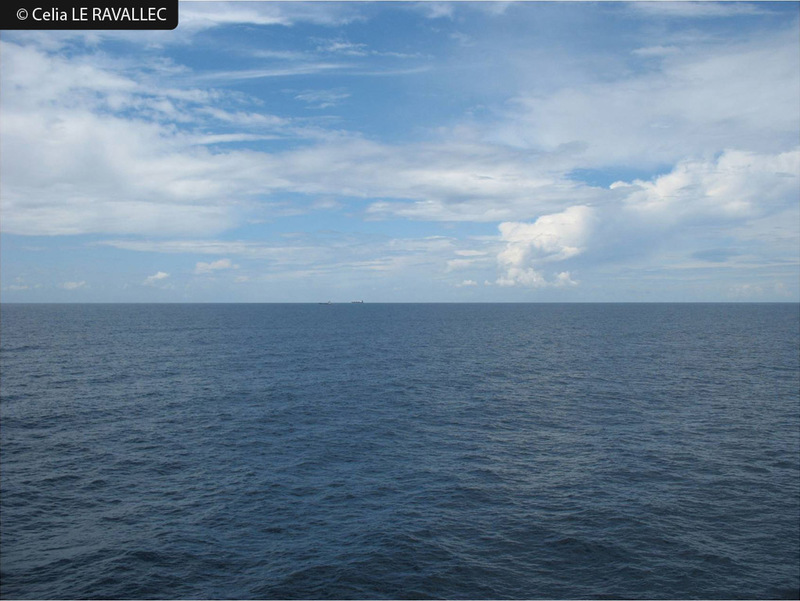 - Towards the development of a national network of MPAs in Libya. - Mediterranean training session on the identification and classification techniques of marine and coastal species for the ecological monitoring on the MPAs. 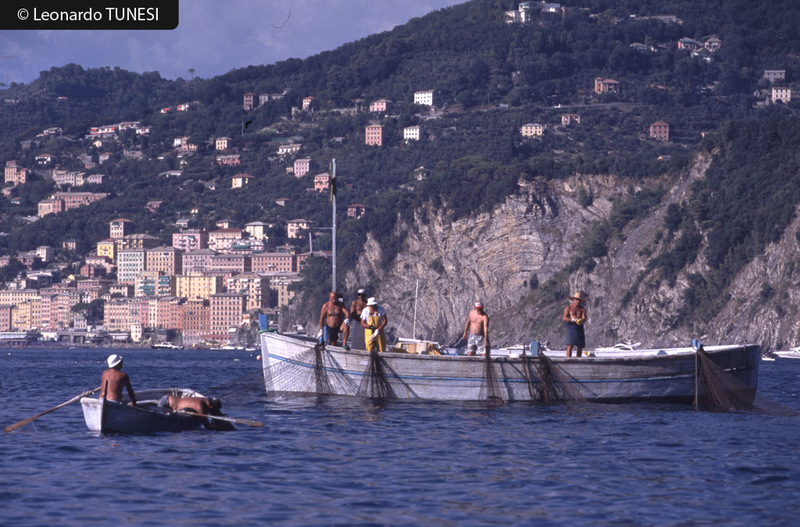 - Helping to understand pressure on the fish stock caused by spear-fishing and some divers activities in Montenegro. - Newly established Sazan-Karaburun in Albania: MPA tourism development. 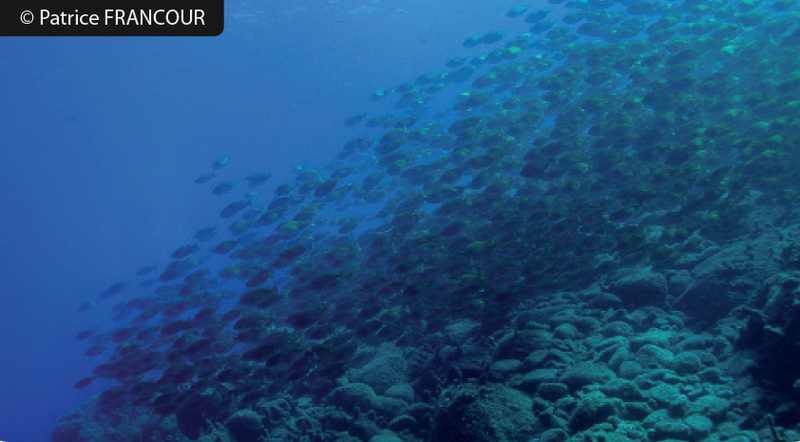 - Third Regional Training Workshop on Sustainable Tourism Planning in Marine Protected Areas. Luca Bittau, PhD student of the Sassari University indicates the presence of a sperm whale in the waters of international marine park of Bonifacio.